The complaint was, according to ESPN’s reporting, submitted to two state agencies: Auburn and the office of Alabama Gov. Kay Ivey. ESPN didn’t post the full complaint, so I asked both Auburn and Ivey’s offices for copies. I did so knowing that, due to federal student-privacy laws, whatever I got back from Auburn would be incomplete, and that I was much more likely to get a fuller copy of what Nemeth submitted from Ivey’s office. However, my request to Ivey’s office was rejected because I’m not a citizen of Alabama. Yes, in Alabama (as well as in a few other states) the only people allowed access to state records are state residents. This dangerous line of thinking, which reeks of a desire to keep the possibly critical eyes of outsiders off of state business, has been affirmed by the U.S. Supreme Court, which ruled that similar laws in Virginia were legal by a whopping 9-0. But hope is not lost. Because perhaps you, dear reader, are a resident of Alabama and would like to submit a public records request for me. I contacted Ivey’s office and was told by the legal department that non-media members need to submit a form to ask for public records. That form is embedded below. In case you were wondering if they can legally ask you what you want with the document—it is illegal to ask this in some states—the answer is, “Yes.” Not only does Alabama limit access to state public records, it also has some pretty bad case law that says it’s okay to ask what you why you want these records. 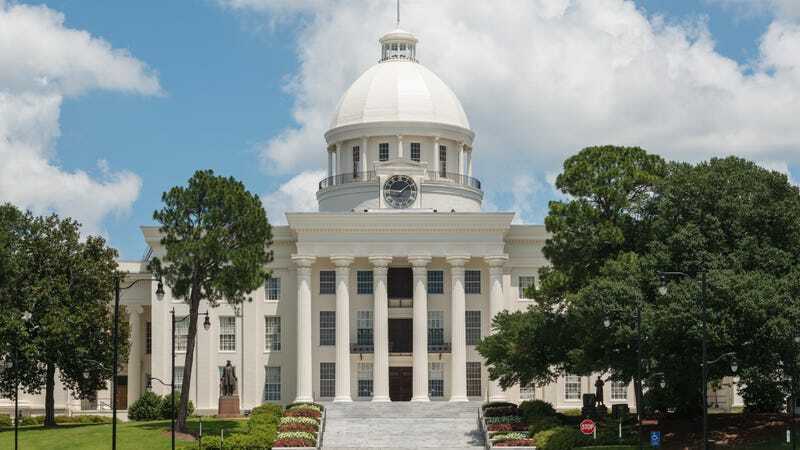 I am offering the phrase “public records request pursuant to Alabama law” based on guidance from the Reporters Committee for Freedom of the Press guide to navigating Alabama’s public records laws. And that’s it! I have no idea what fees the governor’s office will charge, but let me know what they quote you and we’ll figure it out.